The very nature of an MMOG makes them difficult to review, while they can often be meaningless to those who aren’t familiar with the genre. To change this I have decided from now on to review all MMOGs I cover using five clear headers, broken down into: “user experience”, “the levelling process”, “storyline and lore”, “player versus player combat” and “crafting”. Fundamentally, these are the pivotal elements that encompass all modern MMOGs and will cover all you could possibly need to know. For those of you who haven’t read it, I suggest you head on over to my RIFT First Impressions which will give you a good heads-up on the content to follow. Now that we are all on the same page, let’s begin. As I said in my First Impressions, RIFT is a highly polished MMOG. Probably the most polished that has launched for many years. All that users would want and expect to be present in an MMOG is ready and waiting, but just under the surface you may begin to scratch away at several shortcuts that Trion have taken in order to push the product to market. Some animations while functional, lack a certain finesse or are missing entirely in certain circumstances. For example the male Dwarf running and firing animations are stilted and appear awkward — which is a real shame, as the physical character models look great — but sadly resulted in me choosing a female Dwarf. When gathering herbs and wood for trade professions the animation is missing entirely; your character just stands motionless as you pick them up. That isn’t to say these things can’t be fixed because they undoubtedly can, but knowing developers, cosmetic concerns such as these are on a long list of fixes that tend to be towards the bottom. The High Elves and Mathosians however do move well and have some additional animations (such as rolling when you land from a large height) that add a touch of class. Overall it makes me wonder if Trion simply ran out of scheduled animation time. 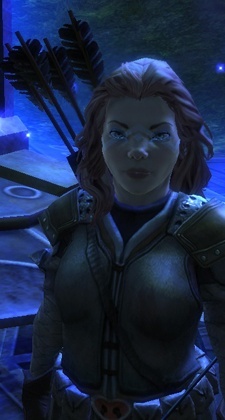 The character creator is a minor improvement over the pre-selected options of World of Warcraft but a poor attempt to replicate Aion or EVE Online, leaving many players appearing identical to others. Several extra haircuts added just before launch are welcome but the selections are still incredibly limited. This should hopefully improve with time. There are 6 individual races to select between the Guardian and Defiant factions: Dwarves, High Elves and Mathosian and Bahmi Eth and Kelari respectively. My problem however is that the differences between them all is negligible. The racial skills given to each during the later stages of BETA are entirely forgettable, while visual differences amount to little more than darker skin colours. It could be argued that not all races with MMOGs have to have a destinct look or style, but the silhouettes are so similar (excluding the Dwarves) that I wonder why they bothered in the first place. World of Warcraft, Guild Wars 2 and Warhammer Online all have destinctive races that are so well crafted players are unquestionably drawn to a race that suits their aesthetic preference. In RIFT it’s an entirely forgettable choice. When in game and as touched on in my First Impressions, the user interface will be familiar to most, with a skill bar at the bottom of the screen. It is the customisation of the user interface however that deserves high praise. Utilising the foundations established by Warhammer Online, RIFT goes to great lengths to allow players to customise the size and location of all windows and menus. It’s a welcome addition that removes the necessity to trawl external websites for add-ons and enhancements.. My only bugbear with the interface is that you cannot look and sort through your inventory while moving, as the game automatically thinks you want to search your bags for a particular item meaning you have to stand still and arrange your items before continuing on your merry way. In terms of visuals a lot has been said of RIFT’s graphical splendour. The game does look good when settings are maximised, my greatest concern however is the sheer demand the game places on your system. Although not cutting edge, my personal computer is of a high specification and comfortably runs Crysis on maximum settings at a constant 60 frames per second, yet RIFT even when tinkering with video settings struggles to achieve anything consistent. My frame rates range from 30 to 70, while adjusting settings such as view distance, ground clutter or bloom effects seem to make little to no difference. RIFT it turns out uses the Gamebryo engine which Warhammer Online used (actually a proprietary engine based off Gamebyro) and the problems I encountered in Warhammer Online are prevalent here, suggesting the engine simply doesn’t agree with ATI graphics cards or Quad Core processors. Either way, its been an incredibly frustrating process to try to stabilise a game that looks worse than many that run flawlessly on my system. Overall though it should certainly hold its own for some time even if the art direction is lacking flair equal to Guild Wars 2, just be prepared to invest in a cutting edge PC to compensate for the game engines shortcomings. 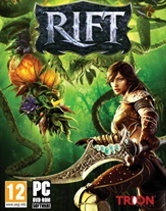 RIFT like every other MMOG on the market follows the tried and tested formula of starting all players at level 1 to gradually progress across a series of zones on a gentle curve of quests or dungeon content in order to level-up. During that process a player will gradually become more powerful through specialising (in RIFT’s case, the Soul System) and thereby unlock a greater quantity of skills to use. First and foremost, RIFT does not break the traditional MMOG mould in any way and for the most part levelling is as forgettable as it is necessary. Having started over in countless MMOGs, I often look forward to the levelling process as an opportunity to experience the game world and learn the nuances of your chosen class. The first major flaw in RIFT however is the linearity of the levelling system and more specifically the zones you are required to level in. 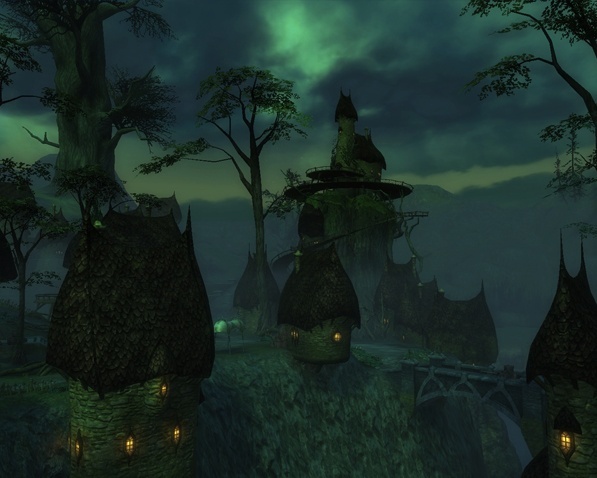 Warhammer Online was guilty of a linear levelling system (including World of Warcraft’s latest expansions), where the user was railroaded from zone to zone until the final areas, with little or no choice of how they chose to level up (and more importantly where) but there was some respite in knowing you could choose a different racial starting area. If you were a Human for example and were sick of fighting against the tides of Chaos, you could hop on over to the Elf or Dwarven zones for an entirely different levelling experience. Where RIFT falters is that players, depending on the side they choose (Guardian or Defiant), all start in the same faction location, irrespective of race. While this is absolutely fine when playing through once, it removes any desire to make alternative character classes, knowing you have to repeat the exact same quests in the exact same zones. This is a real shame as the Soul System is such an exciting prospect that to fully experience it by playing other class types feels like a chore as opposed to an opportunity. Different racial starting zones would have eradicated this problem. Thankfully the class Soul System does allow you a great deal of flexibility so the urge to change class shouldn’t be too great. In terms of physically levelling, quests are very much run-of-the-mill fetch and kill tasks, with some disguised better than others; a particular favourite sees you polymorphing students at the Argent Glade Quicksilver College into sheep. While it is disappointing that many of the quests lack true originality, they are pleasant to undertake, are abundant in number and are highly polished. They move you along from zone to zone at a reasonable pace, although there were moments at level 25 when levelling-up began to feel slow. As for the dungeons I have encountered they are all fantastic with great pacing, scripting and boss encounters. It really is impressive to have such accomplished instances so early in the game’s life. As for Rifts, which are arguably Trions pièce de résistance, I am in two minds as to how I feel about their implementation. On one hand it’s stunning to login and see the world turn red as a fire Rift and the creatures it spawns spew out and attack towns and villages, yet on the other the physical interaction with Rifts are limited and slightly repetitive. The randomness of Rifts and the impact of them is fantastic as dozens take over the zone, but taking part in closing a Rift is a very simple affair which isn’t overly enjoyable. A series of monsters tends to spawn which must be defeated, that ends in the Rift disappearing and you being rewarded appropriate loot. Inevitably, all it tends to involve is a mass brawl with no structure or coordination. It’s all very frantic. The experience earned for taking part is often poor and the rewards seemingly not much better. An improvement would be to reduce the number of Rifts and instead implement larger much more structured versions. Rifts spanning half a zone that spawn hundreds of monsters over a town would be a real spectacle, as opposed to the current drip-drip of small easily manageable enemies that involve no thought or tactics. That isn’t to say that Rifts don’t have potential and aren’t at times fun, but in their current form they are completely avoidable, with players being provided no real incentive to take part in dealing with them, unless they wish to unlock a classes Soul. Not all MMOG players actually read quest text or care about the lore within the game as they would much rather smash people in the face and treat every quest the same. I, however, enjoy reading the text and try my hardest to soak up the world around me. It must be said that while the questing as touched upon earlier isn’t ground breaking, many are enjoyable. The use of cutscenes during the opening sequences is a great touch even if the voice acting leaves much to be desired, the quest text is also well written with some use of humor. Many storylines won’t stick in your head, but those in Gloamwood are really enjoyable. Darkening Deeps, an instanced dungeon in Gloamwood, is a great example of Trion delivering on its promises. DD (as it’s known) is a well structured, well paced instanced dungeon with a few narrative surprises up its sleeve. If this is the caliber of instanced dungeons Trion are creating, I’m very much looking forward to those at end-game. As for the rest of the storyline within the game, over the coming weeks I intend to resurrect my Diaries Of A Call Girl to keep you updated on my progress within Telara, so watch this space. Key to RIFT and its success will be the PVP. Played in either the open world or Warfronts (instanced scenarios pitting equal teams against one another) it really is highly enjoyable. For the most part, despite there being a huge abundance of Soul makeups through the Soul System, the game feels incredibly balanced. Despite me shouting blue murder over team speak when dying, you never truly feel disgruntled at having died or lost. Inevitably there were always things during the course of battle you could have done differently to turn the tide. That’s not to say that it is perfect, as some classes simply cannot be killed in a 1 v 1 situation. A Bard for example is a guitar strumming support Rogue and has such a high rate of self healing through skills, that as a Marksman I cannot physically kill them, as I do not have the necessary tools to reduce their healing ability. If I try to they are likely to kill me instead by slowly depleting my health. I could of course avoid them entirely or run away altogether, but it does become incredibly annoying knowing certain classes are simply gods when going toe to toe. This however is likely to change as I head towards level 50 and unlock a greater quantity of skills to counter their abilities. Of course, a game of this nature should never be balanced around 1 v 1 situations as it is group play where the game really shines. Having taken part in dozens of Warfronts with my guild and won countless through effective team work, Trion really should be applauded as they may just have pulled off the impossible in creating a well balanced, enjoyable PVP game. Of the two Warfronts I’ve played so far, due to cross server queuing, wait times are almost none existent, meaning you can take part in PVP almost instantaneously and anywhere in the game world. Warfronts give great experience and are a welcome break from questing, allowing you to happily mix both to keep play varied. The Codex Warfront feels akin to World of Warcraft’s Arathi Basin only it looks better and is much more focused. As a Marksman the open plains and high vantage points are brilliant and allow for great use of tactics. A particularly memorable fight saw me going toe to toe with a Beast Master and his cat (who I might add hit particularly hard). We ended up killing one another at the same time on several occasions and had a riot trying to out wit one another, as we both attempted to recapture the lost control point by ourselves. I haven’t experienced PVP fun like this for some time and would recommend everyone dive in, even if you don’t see yourself as a fan of PVP combat. If I were to have a complaint however, it would be with two things. The first is the three minute cool-down on using potions which in the midst of combat is an agonizingly long wait and the second is the lack of a healing skill across all Souls. I would like to see all classes, irrespective of the Souls a player has chosen have the ability to heal themselves. My Soul setup is entirely Marksman and Assassin based, as I like the ability to stealth and use poisons as well as ranged attacks and mobility skills, but without spending a huge amount of points in the Bard Soul (which would completely ruin my entire build) I generally have no self heal which significantly hampers my solo play when not accompanied by guild mates who are capable of constantly healing me. Trion could easily implement a single skill for all races, on a 45 second cooldown that scales with your level, giving players some ability to heal themselves. Clerics would still have a key place as they would retain their abundance of powerful heals. Reducing the cooldown on potions to 1 minute and 45 seconds (as opposed to the 3 minutes) and implementing race specific heal skills would allow for a more comfortable solo experience, without over reliance on others (see Guild Wars 2). Even without these things the PVP combat in RIFT is a highly enjoyable experience and one which I look forward to undertaking more and more. To finish my review I wanted to briefly cover the crafting system within RIFT. As with every MMOG I have ever played, Alchemy is always my choice of profession. Potion making is not only profitable but a staple for a PVP player. While not wholly original (collect ingredients, visit a lab and press “Craft all”), crafting is simple and accessible. The ability to have several gathering skills (I am foraging and butchery) is welcome and both work well together, as some potions require canine teeth or cracked ribs from animals alongside plants you find in the wild. A great improvement on potion craft is the change to the quantity of potions your ingredients produce. World of Warcraft was a nightmare for mass producing potions as one set of ingredients only tended to produce one potion. In RIFT a single stack of ingredients can produce up to 3, allowing for a good return for your hard work gathering the ingredients. What I really love though isn’t the ease of crafting or the streamlining of it (crafting is very quick) but it’s the fact that armour and weapons can all be produced by players. There isn’t enough of this within MMOGs any more. Dark Age of Camelot was brilliant because of player produced weapons while World of Warcraft and Warhammer Online deserve nothing but criticism for encouraging an entire industry to do-away with this brilliant yet simple idea. Not only does it support an in games economy but it allows those who don’t have the time or ability to grind the best items in the game to compete against others. Being part of a great guild has allowed me to obtain fresh armour sets and weapons every step of the way, giving me a fair opportunity to compete against others but also making use of my own trade skills (I pass off any leather I procure from Butchering to the guild armour workers). RIFT is a polished and well accomplished MMOG that has launched in a state much better than any have in years. Although there are some cosmetic issues and minor tweaks needed to the game engine and animations, it really is enjoyable. It may not be the most original MMOG on the market or the most adventurous, but what it does do is refine existing ideas to great effect. The class Soul System is one of the most versatile and fun ways of creating a class and many developers will have a challenge on their hands to surpass its simplistic brilliance. Rifts however need some attention and I hope after the brilliant work Trion have done in implementing them (and listening to the community as well as they do) that they continue to adjust the impact and purpose of them. With only one server suffering staggering queue times (despite all reading as high population at peak times), fantastic server stability and well balanced player versus player combat RIFT has made a good reputation for itself in a very short space of time and has high estimated subscription numbers to prove it. 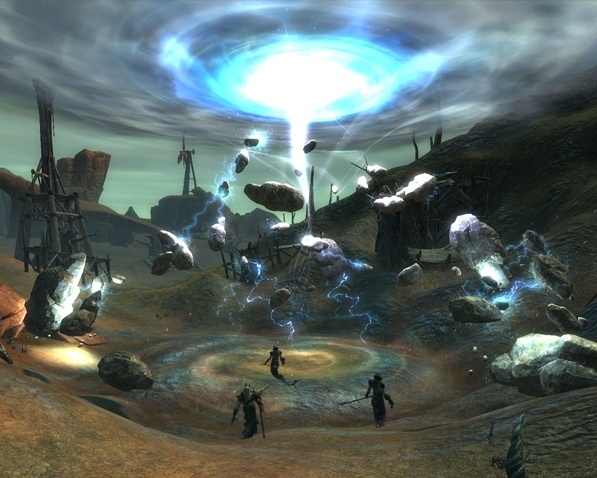 Only time will tell how RIFT evolves and how well it will compete against the might of Guild Wars 2. I’m hoping there is room for both in the market. As I head towards level 50, look out for my Diaries Of A Call Girl in the coming weeks for the latest on RIFT, its end game content and how PVP balances out once you’ve reached the top. An epic review, Lewis, great work! I like your system for MMO reviews. It keeps things organized and highlights what tend to be the most important aspects of the experience. I gather that the long wait times you referred to in an earlier article are gone? Overall this game looks beautiful, and I love the idea of rifts – like blowouts in STALKER, sort of. Congratulations to Trion for pulling it off. With luck they’ll spend a few more hours in the mocap studio and address some of the animation and character variety issues you describe. These things may seem small, but they can really screw with immersion in the game. Good one Lewis! I miss having the time to play MMO’s like this. Whitefall server still has epic queues Steerpike: I’m not sure what Trion are doing about it. Every other server however just has high populations. We ended up changing to a role-play player versus player server, which allowed my entire guild to play when we wanted and in a much more mature setting. Hey Lewis, and thoughts on this game? I’ve been following Secret World with some interest Armand. 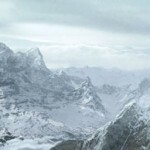 The hardest task Funcom have is overcoming their own reputation, shattered by Age of Conan. Personally I really loved the game, and felt there were huge innovations. The graphics, world, and especially the combat: absolutely brilliant. But people didn’t enjoy the instancing and small map sizes which for a game that looks so good wasnt suprising. I’ll definitely try to follow the game but I would wish any company luck when launching a new MMOG. I love a modern setting and I think they could be onto something special.